"Hi, my imessage order messed up. This is really frustrating as I find it difficult to figure out which message received at what time. The messages conversations are in a mess. For example, when I send a message to my wife and she reply to it immediately, unbelievably her message is displayed before my message in conversation. Is there anyone who has the same issue? How did you solve it then? Please help!" This problem, that iMessage/Text Messages are displayed out of order in chat history, has been reported by many iPhone users these days. The messages received and sent are placed randomly in the app, which makes people unable to find out the correct order of the conversation. The problem is very troublesome as many people complain that they have missed some important message because of overlooking the messages misplaced in the chat history. Apple has not yet announced the reason and the fix for this. However, we have some tips which will possibly fix this kind of issue. We hope you will solve the problem from the list given below. If this problem never happened to text messages and only your iMessages are arriving in wrong order, you can try this quick fix--toggling the iMessage off, then wait for a while and turn it on. This will refresh the app and you will probably start getting your messages in sequence. To do this, start heading to "Settings" > "Messages" > "iMessage" and toggle the green switch off to disable the app. After 10-15 seconds, enable it again by sliding the toggle button again to the other side. See if this works or not. If not, turn to the next tip. You might have done restarting thing to your device as the first resort. Sometimes normal restarting doesn't do the trick. Therefore we recommend you trying hard reset to your device which is a very easy to perform process. Here are the steps. 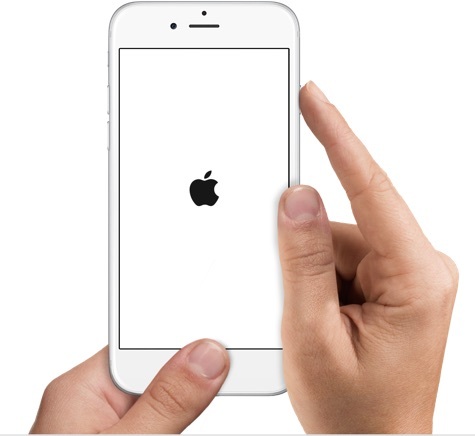 For iPhone 6 and early models: Press and hold down the "Sleep/Wake" button and "Home" button altogether until the Apple logo appears on the screen. For iPhone 7 and 7 Plus: These users need to press "Volume Down" button and "Sleep/Wake" button simultaneously for roughly 10 seconds until Apple logo comes. 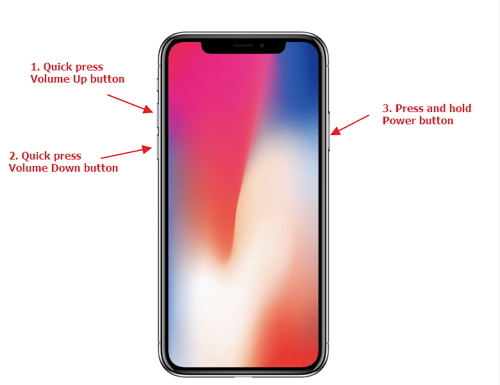 For iPhone 8 and 8 Plus: Press and release the "Volume Up" button quickly. Do the same with "Volume Down" button. 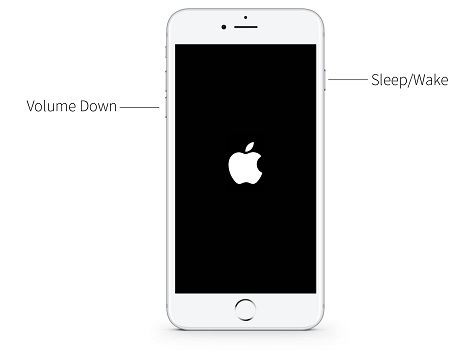 After this, hold the "Sleep/Wake" button until Apple logo emerges on the screen. A yet another effort you need to put for solving messages out of order issue is resetting all your settings. 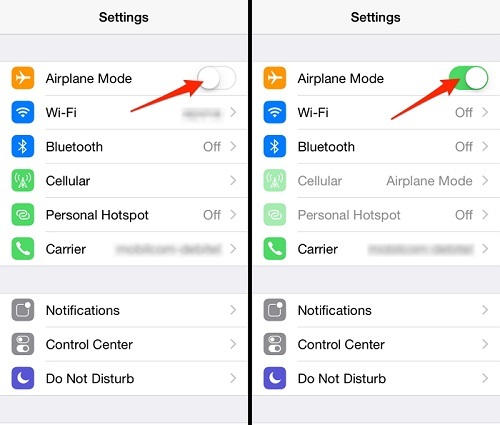 This will set your iPhone settings to the default settings i.e. the setting at the time when you bought the device. To perform the method, go to "Settings" > "General" > "Reset" > "Reset All Settings". Type in the passcode and confirm the action. 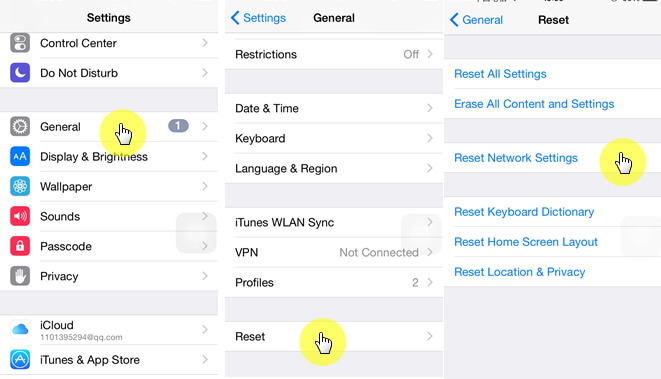 You can also reset your network settings if iPhone messages or iMessages are out of order. This method will however, delete all your Wi-Fi or other network settings. The steps include tapping on "Settings" > "General" > "Reset" > "Reset Network Settings". Enter the passcode followed by confirming the action. 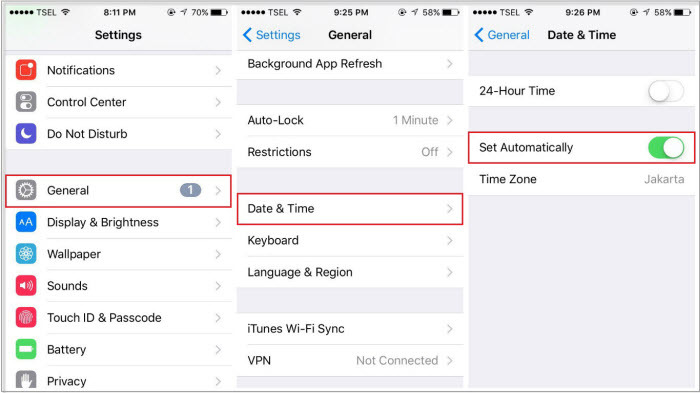 Many of you may be surprised to know that merely disabling and enabling date and time settings can fix the issue. So, if iPhone test messages/iMessages comes out of order, simply head to "Settings" > "General" > "Date & Time" and toggle off "Set Automatically" option. Wait for a couple of seconds and re-enable the option. Now, check if you are still receiving messages in wrong order. If unfortunately yes, follow the next tip. 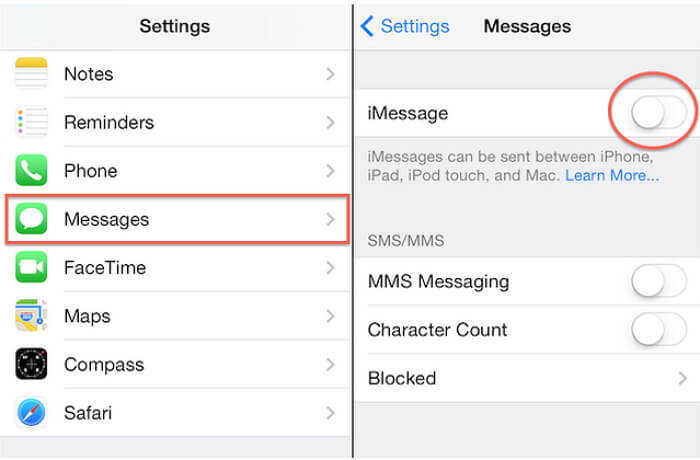 Here is another trick you can try when messages or iMessage arrives in wrong order. Some iPhone users prove it helps. What you need to do is to turn off iMessage. This will be done by following the steps we mentioned above. After disabling, enable "Airplane Mode" and turn off the device. Stay for a couple of minutes and turn the device on. Now, turn off "Airplane Mode". Lastly, enable iMessage and try sending messages to check if they are appearing in the correct order now. This might be a iOS bug if the above methods are not of any help. If Apple still has no any solution for that, you can try a third-party tool to fix iOS. The most recommended tool we would like to introduce is iMyFone D-Back. Apart from being the most powerful data recovery tool, it helps in fixing various iOS issues with the help of its "Fix iOS System" feature. 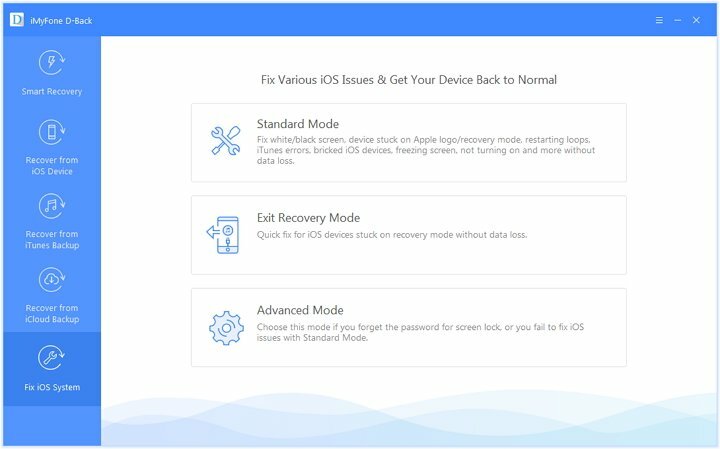 You can use the program to fix the iOS problems like stuck on Apple logo/recovery mode/white screen, restarting randomly, iTunes errors such as 4013, 21, etc. This tool is also able to recover more than 20 types of deleted data on iPhone/iPad/iPod touch. This program is 100% secure and reliable and it has been recognized by the famous sites like Macworld and Makeuseof. Step 1 Download and open the tool in your respective PC and click on "Fix iOS System". 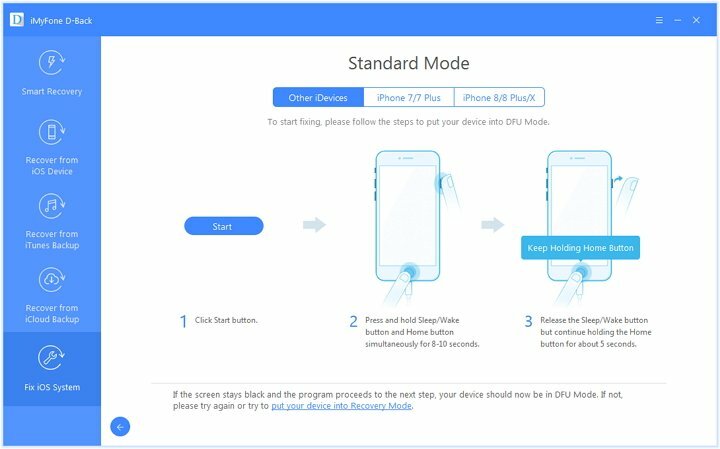 Plug in your iPhone to the PC and select "Standard Mode" from the given modes. 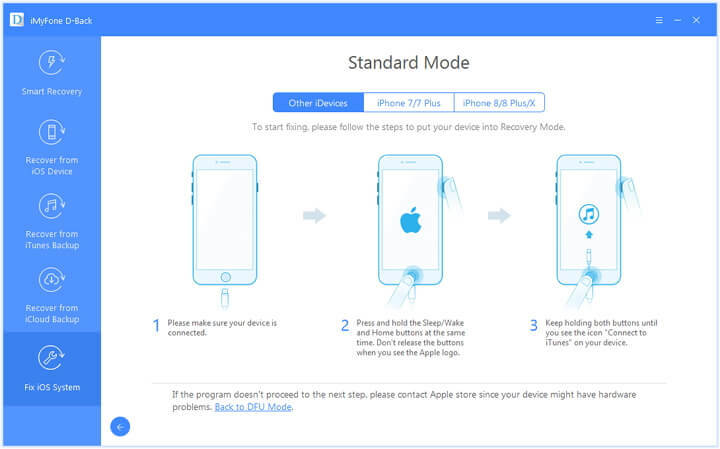 Step 2 Follow the onscreen instructions to put your device into DFU mode or Recovery mode on the next screen so that the device can be detected by the program. 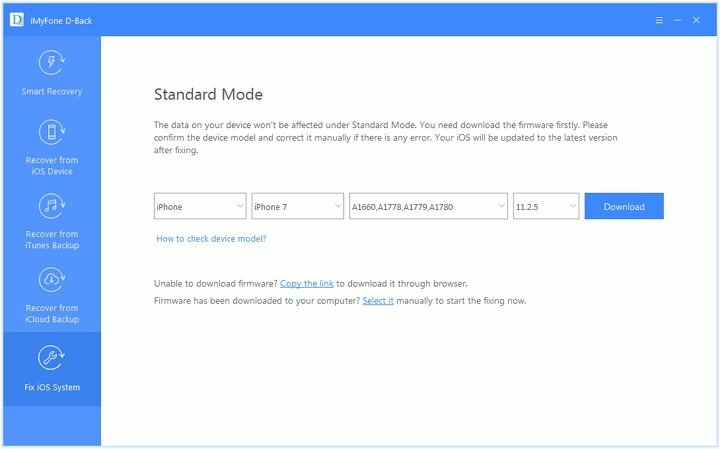 Step 3 the program will easily detect your device which will ultimately help you getting the suitable firmware for your iPhone. You just need to click on "Download" button. Lastly, click on "Start to Fix" option and the program will begin to fix the iOS. Please just wait for a while.